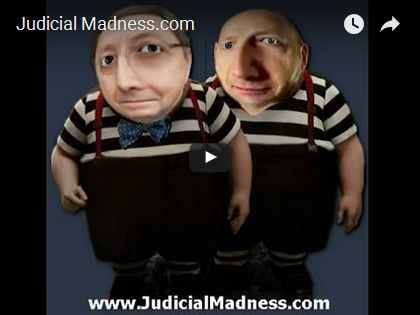 Lawyer Yves-Marie Morissette on his own cannot declare people crazy. Dr. Évens Villeneuve on his own knows no law. 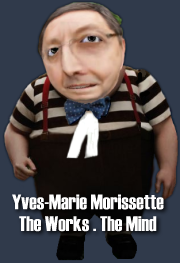 But, together, Yves supplies Évens with the alleged “symptoms” (alleged abusive litigation), and Évens obligingly declares Yves's target litigants “crazy”. Even more fun, neither Yves nor Évens has ever met the litigants. It is interesting that the complaints involved within the study by Lester et al (2004) were not subject to independent legal scrutiny. The reader therefore has no idea of their merits. Anyone who has experienced the difficulties of authorities and courts will realise that bureaucracy and confusion pervade each institution. Anyone who has attended one of our supreme courts will know that the service is slow, correspondence often goes missing, checks are required to ensure that the correct folders and paperwork are presented, and often uncomfortable questions are ignored. These are characteristics of the average day of a normal and rational human being attempting to protect his or her civil liberties. These are practical problems faced by the average person. There’s a very cute segment (well, I find it funny; it’s given me quite a chuckle) in Maria De Michele’s article now online in English: 2010 – Quebec Bar Annual Conference : Alone Before the Court. Under the general heading of “Les incidents” (“Incidental proceedings”), in connection with self-represented litigants, De Michele warns the law community: Every lawyer knows that the correspondence exchanged between lawyers of record is not to be produced into the court file. This obvious fact is hard to explain to a non-represented litigant. Even under the legislative frameworks that are typical of most modern democratic societies, psychiatry still treads a particularly fine line between benefiting and harming the exercise of human rights. This is largely because the cultural objectives of psychiatry and human rights are, to some extent, opposed to one another. While the basic principle of human rights is to set limits on the degree of social authority which is allowed to be imposed on individuals, the specialty of psychiatry is to fit 'difficult' individuals into the social fabric. These fundamental differences sometimes threaten to turn psychiatry and human rights into antitheses, even in the most benign political conditions. People choose to represent themselves without a lawyer for many reasons. 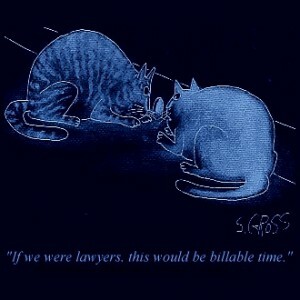 Fees of lawyers are excessive. Confidentiality is dubious. Competency is unpredictable. Respectability, debatable. These angels of the legal system, as they are implied to be in contrast to the so-called lunatics who only howl and moan about them in unwanted ethics complaints, are a very special breed. They are mortals with a license: the right to be deemed to be better than we are. Thanks to the private club (the Bar) which they all must join, they have built-in protection: their own legal mafia will preserve that illusion from a challenge by reality. It’s called Haldol. 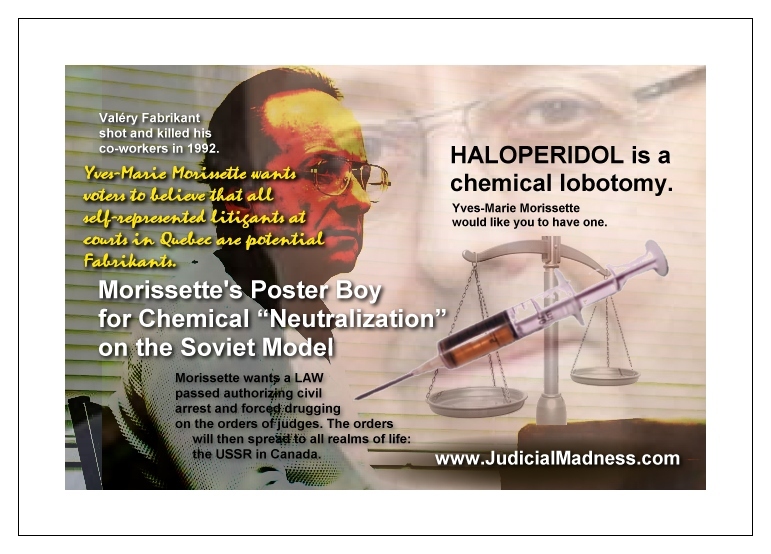 The generic name is haloperidol. It’s classified as an “anti-psychotic”. You’ll read that Haldol is being phased out in the US, but PM: The Essential Resource for Pharma Marketers reports that Haldol accounts for 5% of anti-psychotic prescriptions handed out between 2010 and 2011. That’s 2.7 million prescriptions for Haldol. In one year, in the US. The major and frequent adverse effects of the drug? Akathisia (the irresistible and painful impulse to keep moving, the inability to sit still), dystonia (severe muscle contractions that twist the body grotesquely), and Parkinsonism. In short, torture. All three of these effects can indicate motor brain damage. Former Soviet dissident, Alexander Podrabinek, describes the calculated revival of the Soviet Union by the Putin regime. Published on the 10th of April 2013 by the IMR Institute of Modern Russia in its Analysis category, this article confirms with numerous new and crucial details, the assertions by former Soviet dissident Vladimir Bukovsky in his own public Distinguished Lecture of Tuesday, October 13, 2009 for the Cato Institute under the title: “The Power of Memory and Acknowledgement,” namely that Old KGB-ers are Reviving the Soviet System. What is more depressing is that the country returned to political repressions. We have today, a couple of dozens of political prisoners, again. Which I thought would never happen in my lifetime. Even more than that, at a certain point, the psychiatric use for repressions was returned again. And that was by far the most depressing news for me. I thought we buried that method of repression forever. And yet, it did happen again. Several cases. Luckily, we managed to stop it in time, but we cannot guarantee it would not be renewed tomorrow. The Hon. Senator Anne C. Cools tabled a bill in the House of Commons (the text is linked below in both languages) numerous times in the years leading up to 1996, but unfortunately, this draft law died on the order paper. The present author is of the opinion that this bill should be tabled one more time, but amended to include judges and the ministers who conspire with lawyers to manipulate procedure. L’hon. Sénateur Anne C. Cools a présenté un projet de loi au Chambre des communes (le texte est branché ci-bas dans les deux langues) et ce à maintes reprises ces dernières années, mais dommagement ce projet de loi est mort au feuilleton. La présente auteure est d’opinion que ce projet de loi doit être présenté encore une fois, mais modifié pour inclure les juges et les ministres qui s’entendent avec les avocats de manigancer la procédure. Next week, the World Psychiatric Association will decide whether to let the Soviet Union back in. The Soviet Union resigned in 1983 rather than answer a debate on the political abuse of psychiatry. Already, the battle lines have been drawn between those committed to allowing the Soviets back and those who believe it would be premature. Sceptics want better safeguards before the Soviet Union is made respectable again. The address that follows is a slightly condensed version of remarks recently made by Alexander Podrabinek on videotape in Moscow. Their intended audience is the world psychiatric community and all doctors and laypeople who are concerned about the perversion of psychiatry for political purposes. The tape was shown on October 14, 1988, at a symposium of the International Association on the Political Use of Psychiatry held in Washington, DC, during, but separately from, a conference of the World Psychiatric Association. The WPA refused to allow the symposium to be part of its program. A political dissident recently released from a Soviet psychiatric hospital said today that the habitual use of punitive psychiatric treatment in the Soviet Union remained unchanged despite recent criticisms of such practices in the Soviet press. “There are no changes,” said the dissident, Vladimir Titov. “On the contrary, it’s getting nastier.” Mr. Titov was released Oct. 9 from the special psychiatric hospital in the Russian city of Oryel. Mr. Titov said his most vivid recollections were of two strong psychotropic drugs that caused fever, pain, slurred speech and left him unable to lie, sit or stand comfortably. He also spoke movingly of dissidents still inside, while other human rights advocates at the news conference played a tape of another patient, Sirvard Avakian, an Armenian dissident, asking in a trembling voice for Western help in releasing her from what she described as the abuse of her doctors. Fears are mounting that the psychiatrist Anatoly Koryagin is near to death in the notorious jail of Chistopol in central Russia. Letters that have reached the West from his wife and a friend indicate that he is so weak that unless he is given expert medical care he could die at any time. Dr. Koryagin has been in prison for the last four years for actively opposing the political abuse of psychiatry. The abuse takes the form of labeling dissidents as mad and forcibly treating them with drugs in mental hospitals.